1. I am not working as a Project Manager. Am I not qualified for the PMP® Test? A. 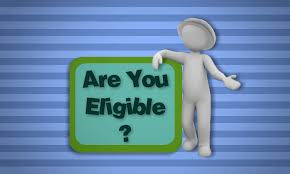 You are absolutely eligible to take the PMP® Test. The fact is PMI does not limit the PMP® Certification for people titled with project manager, all professionals tasked with project management responsibilities overlooking the project from initiation to closing which meet the minimum number of hours/duration would satisfy the requirement. 2. I need to submit details (e.g. project management plans) for the PMP® application. A. False. PMP® application is trust based. PMI assumes that all PMP® Certification Aspirants are telling the truth. PMI chooses a small portion of applicants for audit as a last resort to safeguard the quality of PMP® Certification. Even when chosen for the PMI audit, there is no need to provide project details or documents as these may be confidential. PMI asks for only the signature of your supervisors/colleagues to verify your project experience. 3. I am unemployed and I cannot apply for PMP® Certification. A. Not true. Every project management professional with at least 3 years totaling 4,500 hours (for degree holders) or 5 years totaling 7,500 hours gained over the past 8 years are eligible to take the PMP® Exam. Yet, if you are unemployed, you stand a higher chance to pass the PMP® Exam as you can devote more time and efforts into your PMP® Exam studies than your counterparts. Getting PMP® Certified will increase your chance to find a great job later on. 4. Getting PMP® Certification is very expensive. A. PMP® Certification Aspirants can get PMP® Certified without breaking the bank as PMI does not require students to purchase expensive textbooks. It all depends on how well you spend your money wisely on PMP® Exam prep courses and resources. 5. I need to take a project management class in a classroom in order to satisfy the 35 Contact Hour requirement. A. Not true. PMI allows PMP® Certification Aspirants to take classroom courses, online instructor-led courses or even pre-recording on-demand PMP® courses to fulfil the Contact Hour requirements. PMI recognizes the qualifications obtained through these means equally. 6. PMI application Audits are difficult to pass. A. If you tell the truth in your PMP® Application, there is no need to fear about the PMP® Audit. However, it is highly recommended to contact your supervisors (in particular your previous supervisors if you have included working experience from your last jobs) while filling the PMP® application form to reach mutual agreement on your project hours. 7. Student projects while studying at universities are valid working experience. A. False. PMI only considers project management experience from work. You will need a supervisor to validate your actual working experience for you. Your university professor cannot. If you still have PMP® application questions not answered, please ask your question in the comment section below. We will answer them ASAP.